Hang on! Are you serious? What did you say? 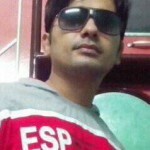 Shared hosting and 2000000 monthly visitors ? 66000 visitors per day, that is? No, no no. It’s impossible. Even the foremost shared hosting start gasping at 7000-8000 visitors per day and you are talking about 66000 visitors per day. It’s no April Fool’s day. So please. These or something along the lines may very well be the words of a person who reads the title of this article. Even a VPS hosting cannot bear a traffic so heavy and you need to go for a dedicated server, much less a shared hosting. Let’s talk about webcusp.com. For this, we use Turbo plan of A2 Hosting and our website that receives 7000 visitors per day runs smoothly without any problem. We can safely assume that if we get twice the present traffic, our website is not going to tumble down and will continue to gallop at the present speed. But if the traffic increases more than double we are really doubtful that Turbo which is a shared hosting plan will keep it up or bear so much traffic and we may have to go for VPS. To be honest, we are already very much interested in VPS plans but unfortunately and unanimously there is a colossal difference between the price of a share hosting and that of a VPS hosting. See for yourself: While on the one hand a powerful shared hosting can be purchased for at the most $25, on the other hand to get a VPS plan with a good configuration you may have to spend at least $70-$80. Besides lots of other necessary paraphernalia such as cPanel license, script installer, resource usage tracker etc. will have to be bought separately. By and large even if you have hosted your website on a VPS, you cannot breathe a sigh of relief. In other words, even a VPS cannot guarantee any kind of assurance. For instance, your server may become overloaded and subsequently your website may go down. Similarly there may be innumerable things which can prove that VPS is not so suitable for a normal blogger or a webmaster. VPS basically is best suitable for the developers. Developers need sort of free environment to run their programs and online software properly without worrying about any server limit. Let’s have a look on the following scenario: The traffic to your website starts increasing and then escalates to such a high that the shared server practically caves in, which in turn makes your website slow and your website starts staggering and becomes unavailable off and on. Soon you are warned by your web hosting provider that your website is affecting other users or that your website is making the shared server unstable. You are advised to upgrade your website to a VPS. But when you get to know VPS plans, you are shocked to know that it is going to cost you seven to eight times the cost of a shared server. Certainly such a high cost will not go easy on an average webmaster’s wallet. okay, enough beating around the bush. Now I am going to introduce you to a webhosting solution which for the cost of a shared hosting would run your high traffic website smoothly. You have to shell out just $16/month and your website that may draw up to 66000 visitors per day, might as well have received no traffic at all given the unsteady speed. Finally we can say: Well, that’s a good sign that traffic to the website is growing. So, let’s get to the point. Suspense is over. Actually we are talking about DreamPress 2. DreamPress 2 has especially been designed for the high traffic WordPress websites. It’s a well-know fact that DreamHost has always been a trendsetter and top-tier in matters of technology. 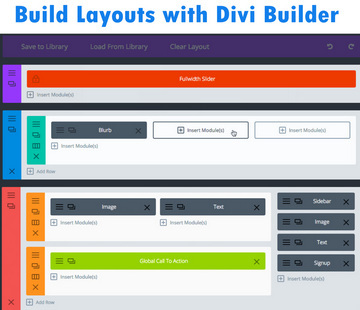 They have their own custom hosting panel, that on the face of it looks strikingly simple yet it is highly recommended for heavy resource intensive websites. Though we have used the word ‘Shared Web Hosting’ in the title of this article, literally it’s not a shared web hosting. It’s actually a highly optimized and fully managed VPS for the price of a shared hosting. These Virtual Private Servers have been designed to keep all the hassle at bay. The most important thing about DreamPress 2 is that a website is hosted on two different servers and if one of them goes down, the other server keeps the website up. The possibility of downtime thus reduces to zero, so to speak. 2.1 Million visits per month on DreamPress 2. DreamHost does not limit the amount of visitors to your site, or have any overages for traffic. Many customers asked for a direct comparison of competitor offerings, so DreamHost took a look at the performance of DreamPress 2 using loader.io, an independent benchmarking tool. This estimate is based on 50-100 un-cached visitors per minute (averaging 3 page views each) on a basic WordPress install filled with content. Under most circumstances, your site will be able to sustain significantly higher traffic levels due to DreamPress 2's multi-level caching systems. With the passing of time, along with the normal shared hosting plans, almost all the hosting providers started offering hosting plans with different configurations tailored according to different needs. WordPress (self-hosted) is now the first choice of web designers and bloggers and the rest of blogging and CMS platforms seem to have been swept away by WordPress wave. The power of WordPress has been acknowledged and appreciated by one and all. WordPress kind of bridged the gap between the developers and the beginners and worked as a connecting link between the two. Now designing a web page or develop a web application with the help of WordPress is unprecedentedly easy. Besides there are a lot of out of-the-box plugins available like MemberPress for the needs of membership webstes, WooCommerce for E-commerce needs, Classified themes, Real Estate theme etc. Here what I want to get across is that with the emergence of WordPress as a sole CMS winner and the the number of WordPress users exponentially increasing, web hosting companies started tailoring their hosting services according to WordPress. This kind of web hosting came to be called managed WordPress hosting. Let me skim over managed WordPress hosting, especially what new features it has in store for you. At present, there are a myriads of companies, which are offering managed WordPress hosting. While some of them are very expensive, while others are managed WordPress hosting in name only. We checked out BlueHost’s and HostGator’s managed WordPress hosting. We were under the impression that the hosting being offered by these so-called big names should be really impressive, but to put it plainly, We were flabbergasted that their hosting was nothing but lousy and awful. Managed WordPress hosting of these companies come with a lot of restrictions, for example: you are forbidden from using a lot of plugins. On the whole, in our opinion their managed WordPress hosting is useless for a resource intensive website. 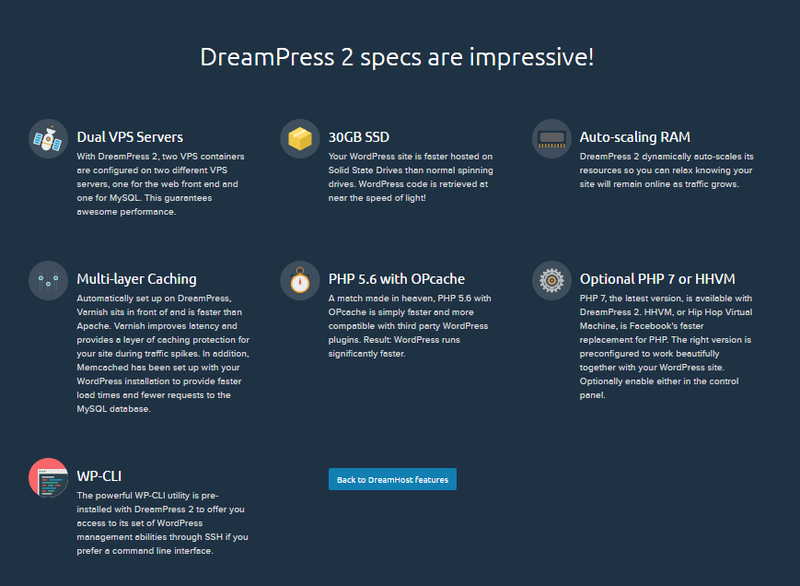 On the contrary, DreamPress 2 is not only affordable but also powerful and secure. Besides tackling a giant of a traffic, this hosting guarantees 100% uptime. We have been keeping a close watch on DreamHost server’s uptime for the last three months and you would really like to know what is our verdict: No downtime. Moreover, DreamPress 2 servers are superfast. DreamPress 2, in terms of speed, is way better than its rivals. DreamPress 2 has a pre-configured multi-layer caching that not only maximizes website speed but also reduces significant load on the server, making it able to bear millions of visitors per month. It is practically impossible for other companies. DreamPress 2 also supports HHVM Hip HOp Virtual Machine, a superior alternative to PHP 5 developed by Facebook. You can also switch to HHVM and double-boost your website speed. DreamPress 2 saves you thousands of dollars per annum. When you signup for the first year, you are charged $16.x/month (around $200/year). Let’s cite WP Engine as an example so that you can see the difference for yourself: WP Engine charges you around $3000 per annum for the services which you get at $200 per annum with DreamPress 2. Does that mean that WP Engine robbing you blind under the guise of managed WordPress Hosting? Yes, of course. It is clear both DreamPress 2 and WP Engine provide the same service quality but DreamPress 2 is twelve times cheaper than WP Engine. DreamPress 2 keeps the backup of your WordPress on Cloud. Although all hosting companies take the backup of a hosting account on a daily basis, yet you can never rule out the fact that this backup is not guaranteed. It is quite likely that they can fail to take the backup on some day or for some reason the backup taken cannot be restored. On the other side, DreamPress 2 keeps the backup of its hosting accounts on a daily basis on its highly reliable Cloud server which is known as DreamObject. As you may know that the Cloud backup means 100% availability and guarantee. While other hosts can manage at the most and with all their might from few thousands to few lacs visitors, on the other hand DreamPress 2 claims to handle unbelievably 20 lacs (2 million) visitors. That’s quite a feat and puzzling too. You can run your high traffic website by shelling out just $16 per month. Fortunately, it’s true. It should be pointed out here that you can host only one website on one DreamPress 2 package. As noted above, you cannot host multiple domains on a single DreamPress 2 package and it permits you to host only one website. If you want to host another of your website or more websites on DreamPress 2, you will have to purchase DreaPress 2 hosting package separately for each website or you may consider to go for DreamHost VPS.